FREE Shipping on all USA Orders Over $50! Follow, Like, Share & Comment! I created ViperSharp (Get Yours Today) with the limitations of existing systems in mind. It was the brainchild of frustration from sloppy movement in some systems, limitations of angle and other shortcomings I found when trying to use something else. I set out with one goal in mind; to create a complete system that does a good job with little effort. 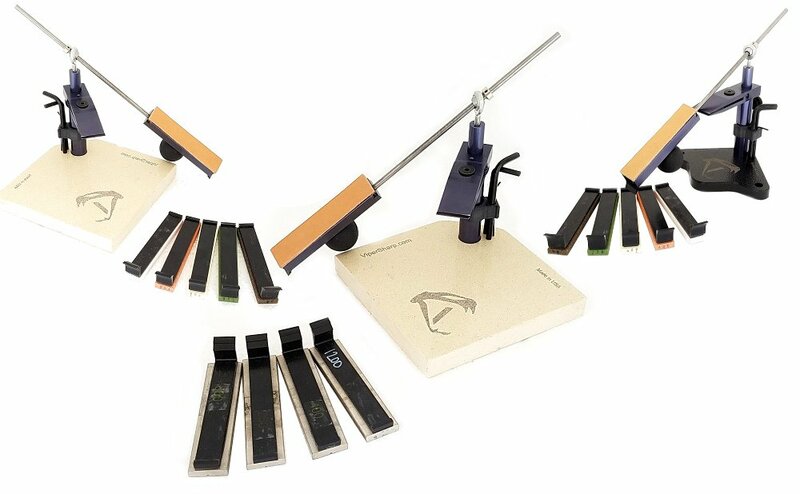 ViperSharp is a high quality professional sharpening system that will give you excellent results every time with no slop and without the guesswork. There is probably more that I am missing but these are the primary things I was working to correct when I created this product. The design is such that it allows additional stones and other possible upgrades. We have worked to make a precision sharpener that will allow you to sharpen any knife you use or carry. Everything from a standard EDC pocket knife to your kitchen chef knives can be sharpened with the ViperSharp professional precision sharpening system. Go ahead and give it a try. We are confident you will be happy with the results.